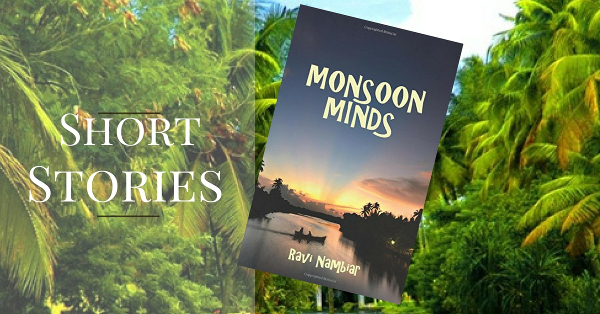 MONSOON MINDS – a collection of short stories by Ravi Nambiar takes the readers through all-together different rustic village settings with his lucid and simple style of writing which appeals to readers of all ages. The characters in these stories are so realistic that readers will “see” them as having met them sometime some-where. Each story depicts typical personal traits and opens up heart-warming human interactions. Set in the Pre-Tech-Invasion era, readers are amused how the life is depicted nicely without any “mobile communications”, “social networking” etc… just plain and smooth personal interactions. 2. Love, crush, infatuation, which is so common in everyone’s life is beautifully depicted in “An Old Love Story”, “By the Waves”. 3. Characters in these stories come from all walks of life and of all ages which captivate the minds of the readers with their varied personalities – the flower-vending small and innocent girl; the young and bubbly young girl, middle aged people and even characters on their last leg of this earthly journey. 4. Dilemma and paradoxes in life, which are so very common, find their expression in “The God of Mason”, “The Last Pilgrimage”. 5. Love and affection for the pets and animals comes through vividly in “A Divine Bonding”. Readers actually feel the “Divine Bonding” in this simple and heart-rendering narrative. Through all these short stories, which never lead to the boredom, Ravi has captured the tender feelings of these innocent and offers insight into the world, culture, and lives of the next-door Indian people. 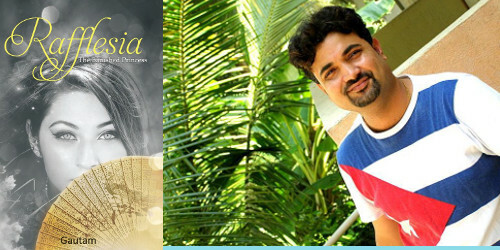 Ravi Nambiar writes occasionally on topics like sentimental values and relationships. A believer in karma, he lives in Bangalore, India. When was the last time you called up your childhood friends to say how much you miss them? When was the last time you told your parents how much they mean to you? When was the last time you did something you really enjoy doing? Questions that cross our way sometime or the other. That touch ordinary human lives every day. Intense, gripping and refreshingly different, ‘Rafflesia The Banished Princess‘ is a heart-warming tale about ordinary people and their inherent desire to remain happy, the people they care about, the things they dream of and live for and events that change their lives forever! Incredibly evocative: A touching social drama focused on ordinary lives. The characters are very fundamental, layered, vulnerable and flawed. Reading the book is an intensely emotional experience. Evokes strong visuals: Wildly scenic with vivid descriptions throughout evoke strong visuals while reading. It is almost like watching a movie at the theatre. There is a dream like feel throughout the story. Identifiable characters: Poignant situations and believable characters, they are people you know. They are just near you, somewhere. Or they may be those you have left behind. The book leaves you with a strong feeling of connecting to your past. Engaging narrative: The story grows on the reader slowly and leaves a lingering sense of deja-vu by the time it ends. An engaging narrative makes it a worthwhile read, something you would like to catch on a lazy rainy afternoon or while on a long holiday. Refreshingly different: Absolutely unpretentious with a very different take on relationships. The story celebrates relationships, the ones that are less celebrated. It celebrates music. It celebrates colours. It celebrates life, just the way it is!